(January 10, 2018) - The Cape Coral Police Department is releasing the below composite photo of the bank robbery suspect being sought for the robbery at Bank of the Ozarks on January 8th. Anyone with information on this case or who thinks they may recognize the suspect is asked to contact the Cape Coral Police Department at (239) 574-3223. You can submit an anonymous tip by going to www.capecops.com/tips or text a tip: text CCPD+"Your Message" to CRIMES (274637). You can also call Crimestoppers at 1-800-780-TIPS. 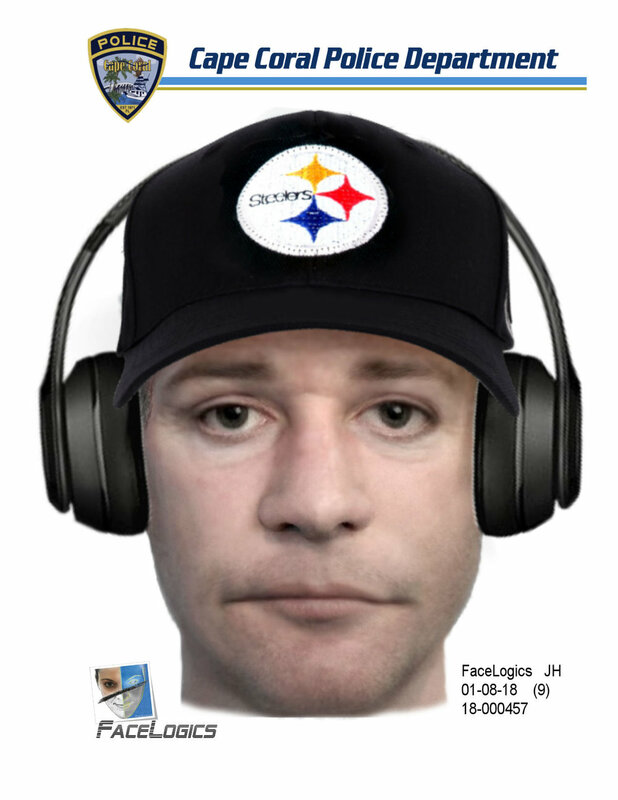 Composite render of suspect in CCPD case number 18-000457 (Bank of the Ozarks robbery).